The global watch auction season is about to swing into high gear with Christie’s in Dubai leading the way with its Important Watches auction on March 22. Online registration for the sale is already open. There will be just under 200 timepieces in the sale with a combined pre-sale estimate of $9,000,000 to $15,000,000. It includes various single owner collections, a line-up of vintage Rolex Daytonas, vintage perpetual calendars and chronographs by Patek Philippe and an extensive line up of modern high complication ever offered in a Dubai watch auction. “Christie’s March auction of Important Watches celebrates the flourishing interest in vintage and modern horological masterpieces. Most notably, the Patek Philippe 1463R, originally retailed by Serpico y Laino, dating from 1950, which exemplifies the highest level of offering of vintage masterpieces, previously only seen in our Geneva watch auctions. 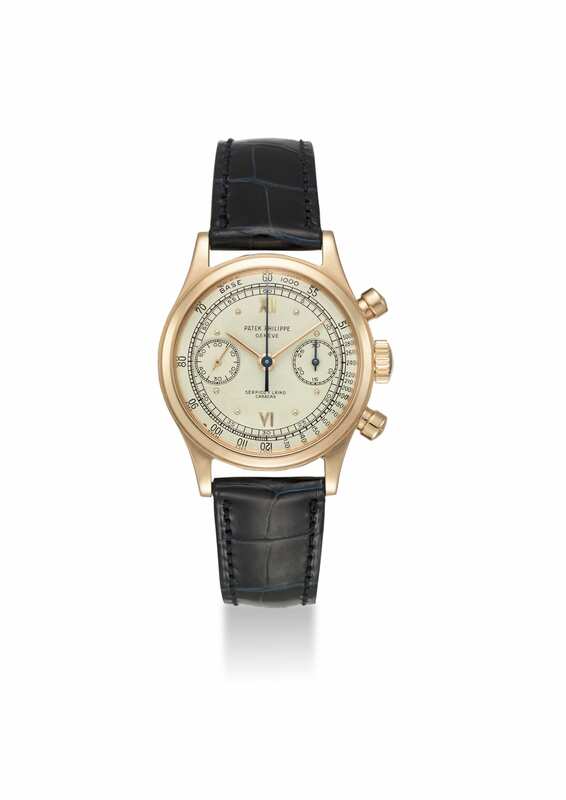 Furthermore, the auction will present for the first time in the Middle East a unique Patek Philippe reference 1491, chronograph, manufactured in 1937 – a moment not to miss on 22 March,” says Remy Julia, head of Christie’s Dubai watch department. The superstar lot is a Patek Philippe, reference 1463R in pink gold from the 1950s that has been previously owned by Eric Clapton and retailed by Serpico y Laino Caracas from Caracas. Only 55 pink gold pieces were ever produced, which explains its pre-sale estimate of $550,000-850,000. 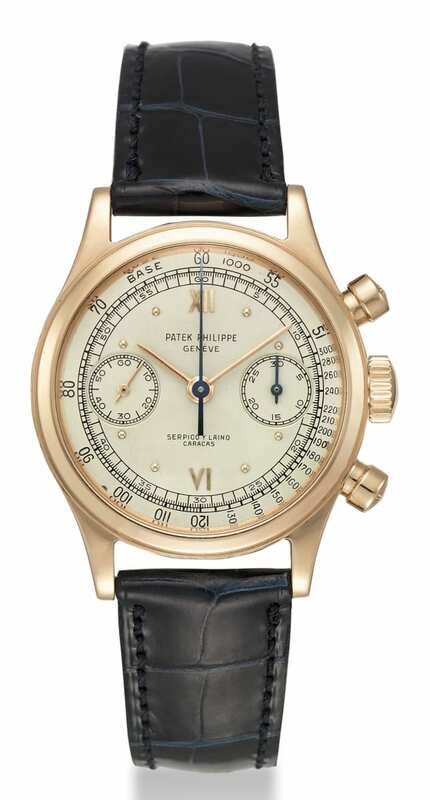 LOT 82: PATEK PHILIPPE Ref 2499J, Third Series. PATEK PHILIPPE. 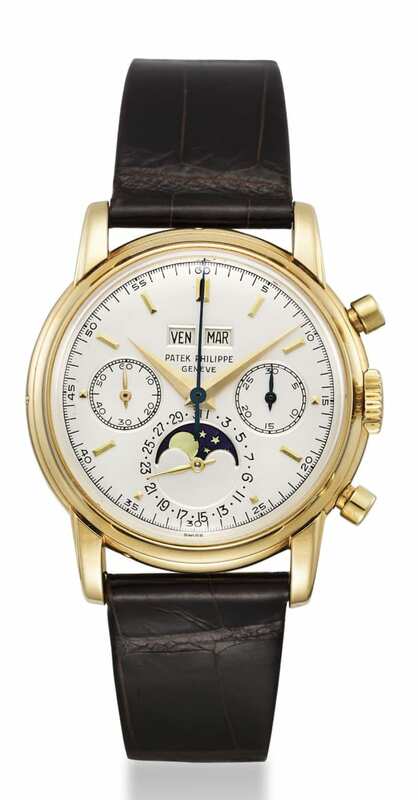 AN EXCEPTIONALLY FINE AND VERY RARE 18K GOLD PERPETUAL CALENDAR CHRONOGRAPH WRISTWATCH WITH MOON PHASES. SIGNED PATEK PHILIPPE, GENÈVE, REF 2499J, THIRD SERIES, MOVEMENT NO. 869’464, CASE NO. 2’700’417, MANUFACTURED IN 1976. Estimate USD 450,000 – USD 550,000.